The Word on the Street reflects how young people are fed up of being passengers in the housing crisis. They want to be heard, not just written about. The long copy for this campaign would be physically placed around London, allowing different issues to be explored - literally. Empowering young people and bridging the gap between generations is at the heart of the campaign, and each element would be clearly linked back to Nationwide and Shelter. 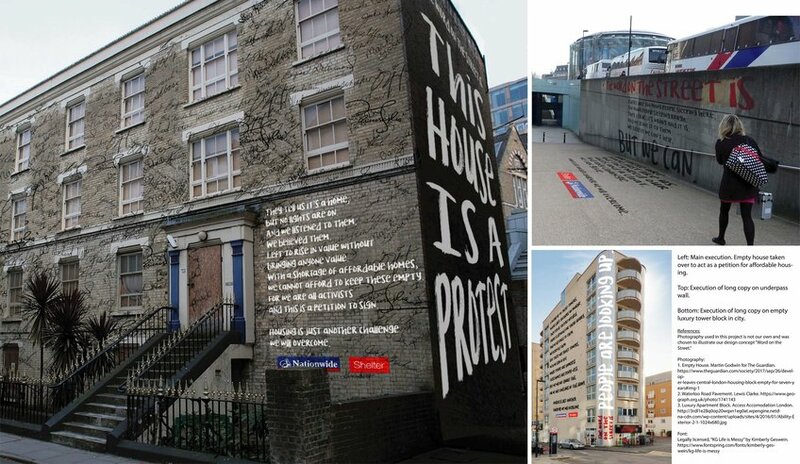 Turning houses into physical petitions and utilising social media to make this accessible brings our campaign about homes to its rightful place: the streets.